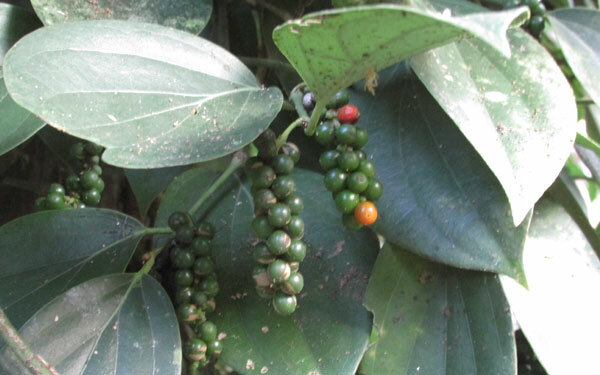 Black pepper plant – Piper nigrum is a climber vine of the tropical area commonly in South India. Leaves are dark green pointed at the end, climbing with the support tree grows up to 30 m. tall. Flowering is in June and seeds are green occur with leaf buds, which grows like a spike called peppercorn in clusters, seeds are dark green and it turns orange-red when ripe. Dried fruits are called Black pepper which is medically important in Ayurveda treatments. 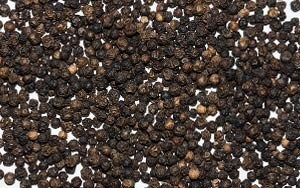 Black pepper is used to treat rheumatism, flu, colds, increase blood circulation, muscular aches, stimulates appetite, tones the colon muscles, vertigo, paralytic, arthritic disorders and digestive tonic. 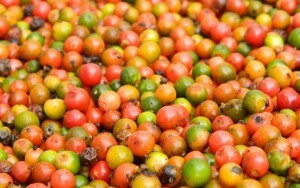 Medicinal properties: Antibacterial, Anti-inflammatory, Antilarval, Gastrointestinal effects, bacteriostatic, fungi static.